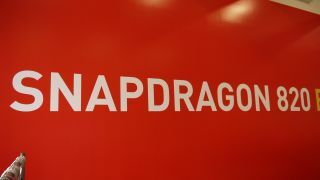 Qualcomm has officially launched its Snapdragon 820 processor - its most high performance chip ever, due to feature in some of the biggest smartphones of 2016. It's been teasing various details about the 820 over the last few months, but now all has been uncovered during a launch event in New York. You can expect increased battery life, faster downloads, improved low light photography and better performance from smartphones sporting the Snapdragon 820. Another area Qualcomm is focusing on its VR, and using your smartphone as the viewfinder. That means we're on course to see a lot more 4K screens on our mobile devices - we already have the Sony Xperia Z5 Premium - as well has enhanced audio for greater immersion. Another plus point of the Snapdragon 820 is its thermal performance, ensuring it runs a lot cooler than its predecessor, the 810. The 810 ran into a number of issues regarding heat - but it appears Qualcomm has solved those unfortunate gremlins for its new chip.